Jaime Alguersuari spent three years with the Toro Rosso team, joining partway through the 2009 season as a swift replacement for another driver. He was the youngest driver, at the time, to start a Grand Prix, which put pressure on his shoulders. He made a swift exit from the team after the 2011 season, spent some time as part of the BBC 5live commentary team, but then disappeared from the sport. Jaime Alguersuari's F1 debut came in 2009, when he was drafted in halfway through the year to replace the outgoing Sébastien Bourdais. With his predecessor's contract being cancelled due to a lack of results, the pressure was on the Spaniard to up the ante and start pushing the team forward. 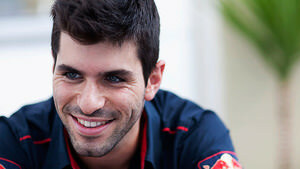 However, Alguersuari was the youngest F1 driver ever to start a Grand Prix, and that meant he had a lot to learn. After two and a half years with Toro Rosso, Alguersuari was dismissed when the team replaced both their existing drivers for the 2012 season. With outside interests in DJing, Alguersuari took to the microphone to join the BBC's radio commentary coverage, sitting alongside James Allen as Radio 5live's expert commentator. After a brief stint in the fledgling Formula E series, Alguersuari confirmed his retirement from motorsport after falling out of love with the sport. 25/07/2013 Sirotkin at Sauber - How young is too young?